FREE SHIPPING in the US. Gift subscriptions DO NOT auto-renew. IMAGINE THEM RUNNING TO THE MAILBOX! Our stickers bring the giddy excitement of childhood right back, every month! 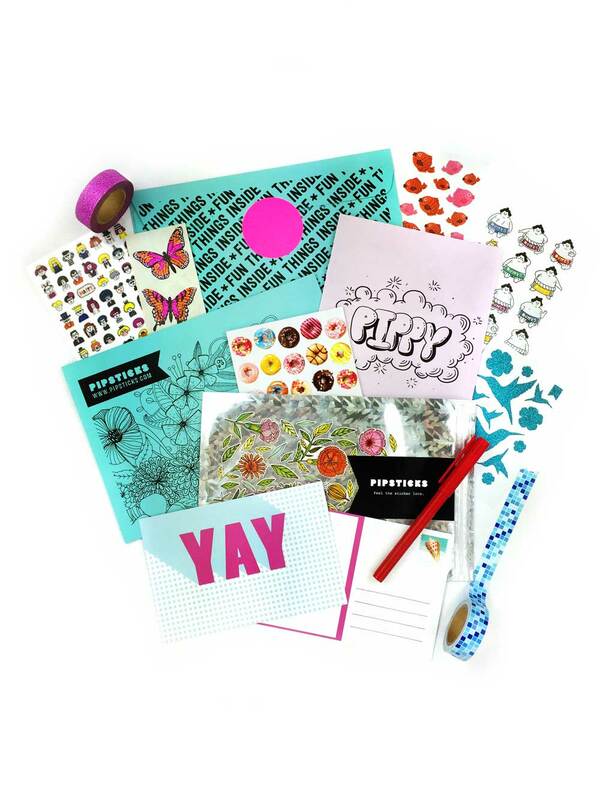 From gorgeous packaging to drool-worthy stickers, Pipsticks doesn’t miss a detail! Better than any email, text, or tag, this dose of happymail will remind them of you! Only an insider could understand their love of stickers. They’ll totally appreciate it.